BlackBerry’s renaissance launched with aplomb last year with the BlackBerry KEYone. 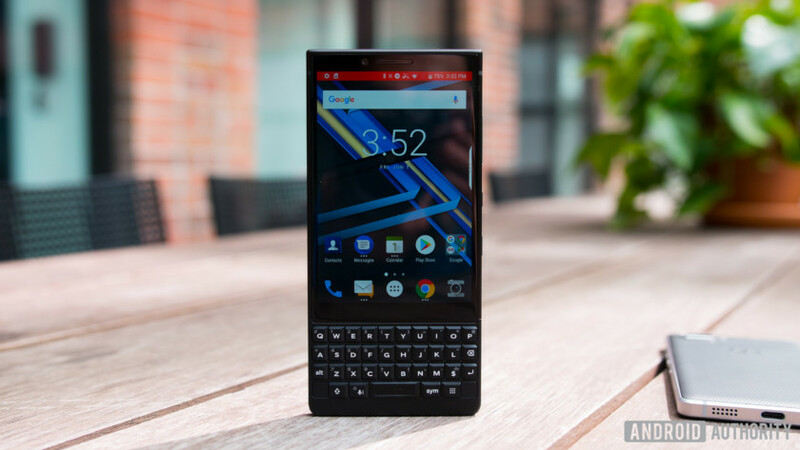 A year on, and two new variants later, including the first dual SIM BlackBerry ever, the company is back with its new keyboard-toting phone, the BlackBerry KEY2. It’s got an updated design, a new special key, and the first ever dual camera on a BlackBerry, but should this be your new phone? Let’s take a look! The KEYone inspired nostalgia amongst BlackBerry users everywhere, with a design reminiscent of iconic devices such as the BlackBerry Bold 9000. 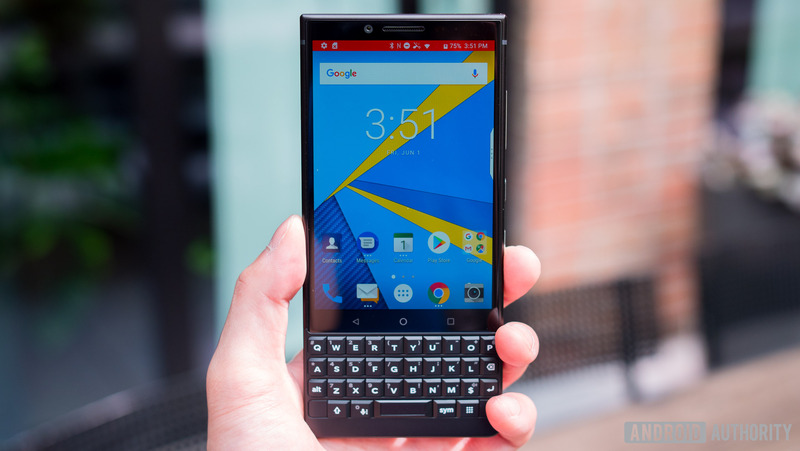 The BlackBerry KEY2 brings a few tweaks based on feedback from users, partners, and customers, and builds on this with an emphasis on a better overall typing experience. The curves of the KEYone have been replaced by a flatter design with straighter edges, and the device is one millimeter thinner as well as 12 grams lighter. The result is a much better in-hand experience more conducive to one-handed typing. The keys have also moved to the righthand side of the KEY2 — with the power button gaining a textured finish — to provide a more seamless experience and look. The KEY2’s typing experience is where it really shines. The keys are now 20 percent larger and there’s more room for them, now that the glass display stretches all the way to the top of the phone. Personally, I found the KEYone keyboard to be a little cramped, but the KEY2 is more comfortable to use. Like the KEYone, there’s the fingerprint sensor in the space bar, and it works well whether the phone is flat on a table or in your hand. The big addition to the keyboard is the new speed key. One of the best parts of the BlackBerry experience is the ability to program a key to quickly launch apps, shortcuts, or other features directly from your homescreen when you tap or long press it. On the KEYone, you had to go back to the homescreen to use it, but you no longer have to with BlackBerry KEY2 — pressing the speed key and activating your shortcut will work regardless of which app you are in. The larger keys provide excellent tactile feedback and the keyboard still comes with all the swipe gestures and functionality we’ve come to expect from BlackBerry’s physical keyboards. The speed key isn’t the only new feature on the KEY2, it also features the company’s first dual camera offering. The back has two 12MP sensors, with the main sensor offering f/1.8 aperture and 1.28μm pixel size. The second sensor has a 12MP resolution with an f/2.6 aperture, 1µ pixel size, and a telephoto lens offering 2X zoom. The BlackBerry KEY2 uses both lenses to offer a portrait mode because it’s 2018 and every camera offers this feature. The front camera has an 8MP sensor with an f/2.0 aperture and 1.12μm pixel size. Neither rear camera offers optical image stabilization and portrait mode is limited to just the rear cameras, but it’s an improvement over previous BlackBerry devices nonetheless. While the hardware is new, the real story is the software, which BlackBerry said it heavily refined to capture much better pictures. We’ll have to wait for the full review to confirm this, but the early signs are promising. 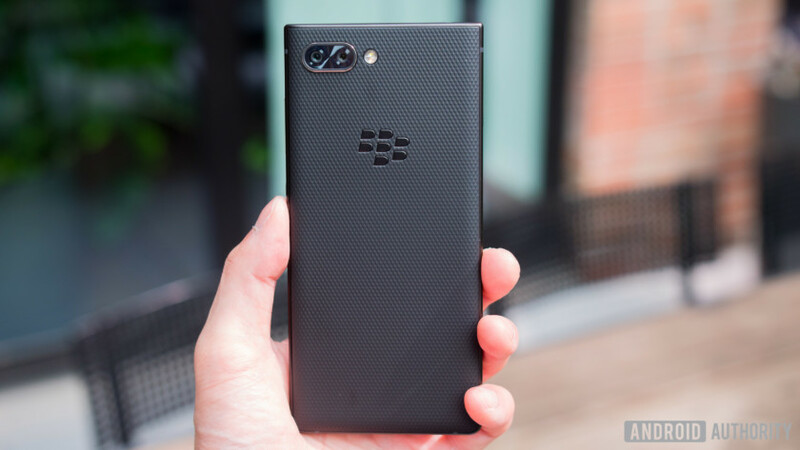 The BlackBerry KEY2 runs Android 8.1 Oreo out of the box, and BlackBerry confirmed the device will get an update to Android P, although it wouldn’t say past that. The software experience is largely what we’ve come to expect from BlackBerry, and its best-in-class DTEK security suite now features an updated UI. A couple of interesting additions to DTEK include the ability to see whether apps are running in the background or foreground, which is particularly useful for finding apps you’ve never opened that consistently run in the background and turning them off. DTEK has also gained new sensitive permissions, which will help alleviate any security concerns users may have. Out of the box, the microphone and camera are set as sensitive permissions. When an app is trying to use either of these, you’ll get a notification and will have to explicitly grant it access. This could stop rogue apps and also provide you with an understanding of which apps use these features. If the phone app asks for permission to use the microphone, you’ll obviously want to grant it. If the calculator asks to use your microphone, you might want to think twice. The other big addition to the software experience is a new Private Locker feature, which creates a private area on your phone. While other Android phones also offer this feature, BlackBerry’s integration is a little different. Inside the locker you can add apps, photos, files, documents and more. Photos added to the locker don’t appear in the regular gallery and won’t back up to the cloud. Even more interesting, the Private locker lets you hide apps in the locker from your homescreen or app drawer. This is particularly useful for hiding sensitive items like banking apps, and the only way to launch them is to either access via the locker or using keyboard shortcuts. Everything in the Private Locker is only accessible via your fingerprint, password, or pin. Even when you launch an app in the locker using a keyboard shortcut, you’ll need to authenticate before opening it. 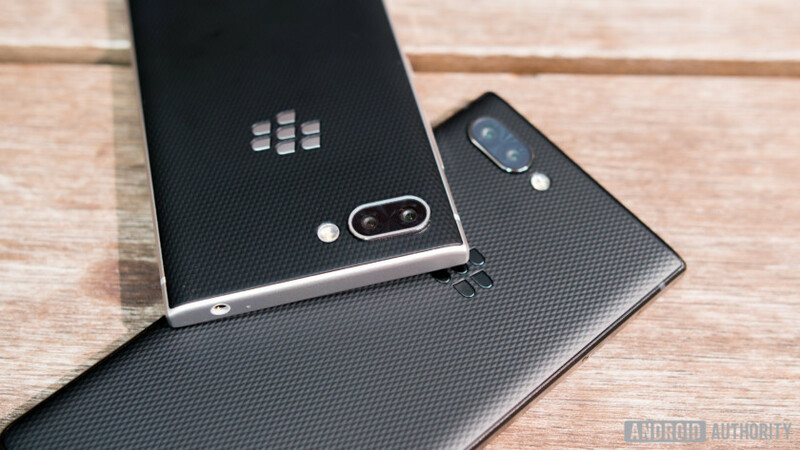 Those changes aside, the rest of the BlackBerry KEY2 experience is similar to the KEYone, with a few hardware updates. The KEY2 is powered by the Qualcomm Snapdragon 660 processor and comes with 6GB of RAM and 64GB of internal storage standard. The first version of the KEYone — which only had 3GB of RAM — was a little sluggish in every day use. 6GB of RAM will go a long way to prevent any performance issues this time around. 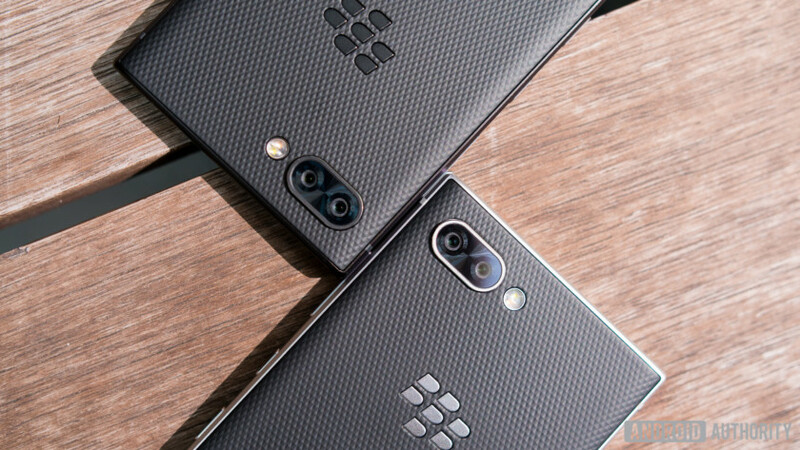 Versions with up to 128GB of storage and dual SIM functionality will be available in select non-U.S. markets, but the KEY2 will only come in the 6GB and 64GB variant stateside. The display is the same 4.5-inch Full HD LCD panel with 3:2 aspect ratio as the KEYone, though the glass extending to the top of the phone makes it feel a little more immersive. There’s a USB Type-C port, as well as a headphone jack (which Blackberry said it has no plans to drop anytime soon). 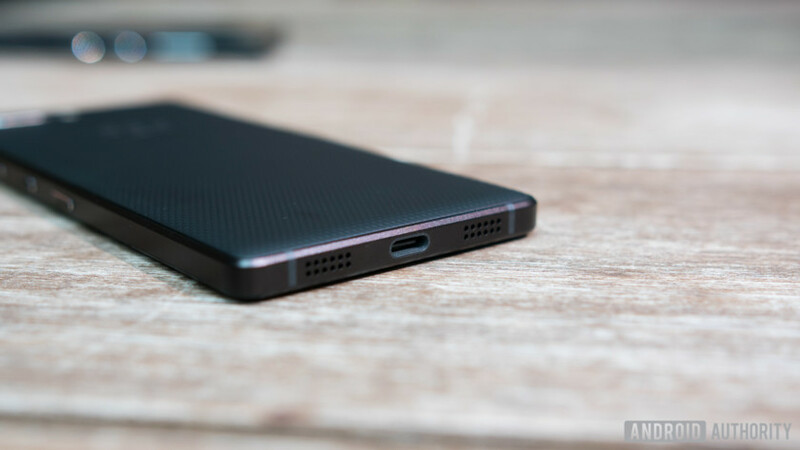 There’s also dual speakers, improvements in the antenna positioning, LTE Cat 9 offering 300Mbps download speeds, and Gorilla Glass 3 protection over the display. The 3,500mAh battery unit supports Quick Charge 3.0 and should last about two days, according to the company. To improve your battery experience, the new Power Center app lets you see how much battery individual apps are using, and whether any apps are slowing your device down. The app gives you recommendations on improving battery life. BlackBerry is also using machine learning to help you manage your battery life. The Power Center application will learn your charging habits and use this data to predict whether you’ll run out of battery. If you always charge around 11 p.m., the phone will learn this. If you’ve been using the phone heavily in the morning, it’ll try and work out if you’re likely to make it to your charging window without running out of juice. Instead of having to wait to hit the five percent low battery warning, it’ll prompt you hours in advance so you have time to find an outlet and top the battery up. Instead of having to wait to hit the low battery warning, it’ll prompt you hours in advance so you have time to find an outlet and top the battery up. The BlackBerry KEY2 will launch by the end of June in the U.S. and other select markets like Canada, the U.K., Germany, France, and China. It’ll then roll out to other markets starting in July. It’ll cost $649 in the U.S., with pricing in other markets to be confirmed later. The BlackBerry KEY2 brings a host of tweaks to improve the overall experience, but the updated keyboard is its biggest change. The larger keys make for a much better typing experience and will be a welcome change for anyone who had issues with the small keys of the original KEYone. What do you think of the BlackBerry KEY2 and do you plan to buy one? 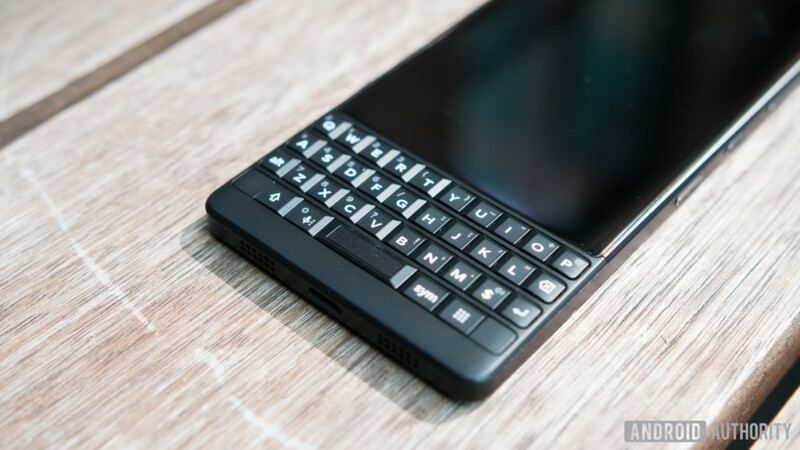 Check out the rest of our BlackBerry KEY2 coverage below and let us know your views in the comments below! BlackBerry KEY2: when can you buy it?